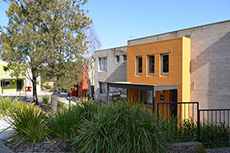 Short stay and group accommodation bookings are available in Ballarat, Gippsland and Berwick for holiday makers, staff and students as well as conferences, schools, sporting and other special interest groups. 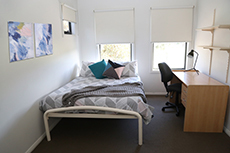 A number of accommodation options and locations may be available including self contained apartments, studio's and 5-12 bedroom houses and units with shared bathroom and living facilities. 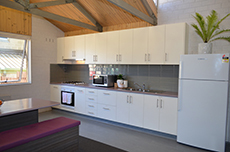 Accommodation is close to public transport and provides a mix of bedroom options, living, dining, fully equipped kitchens, laundry facilities, as well as alfresco entertaining areas with some spectacular views. 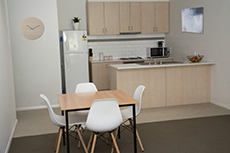 With all the comforts of home and great locations, FedUni Living has a number of accommodation options so that you can stay and explore the beautiful and historic Ballarat Goldfields or Gippsland regions and beyond. 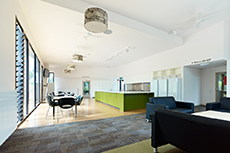 Contact us to discuss your group today, or complete our online enquiry!